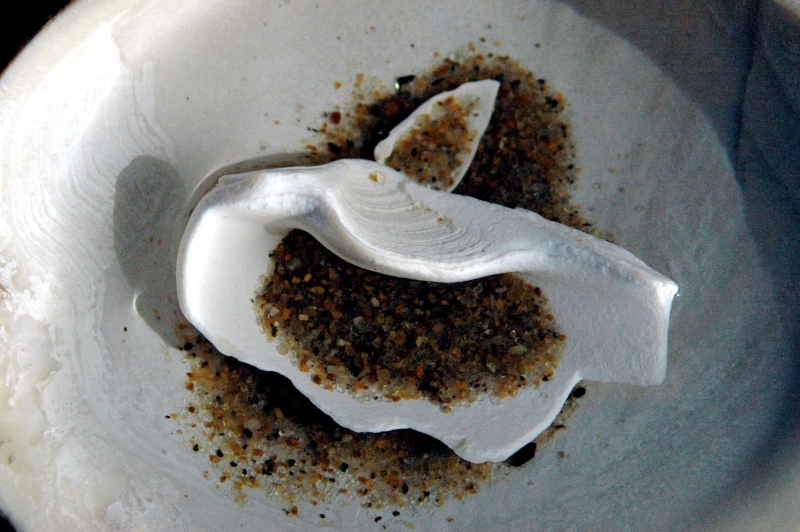 In the autumn of 2006, a team of researchers went on an expedition to Iceland where they discovered something that made the headlines across the world and even made it into the Guinness Book of World Records. 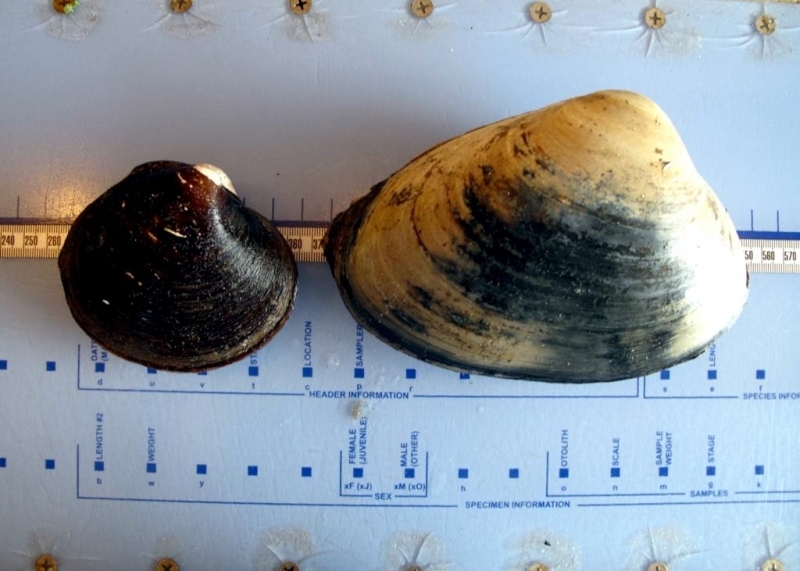 One of the bivalve mollusks known as the Ocean Quahog, turned out to be around 405 years old and thus became the world’s oldest animal. 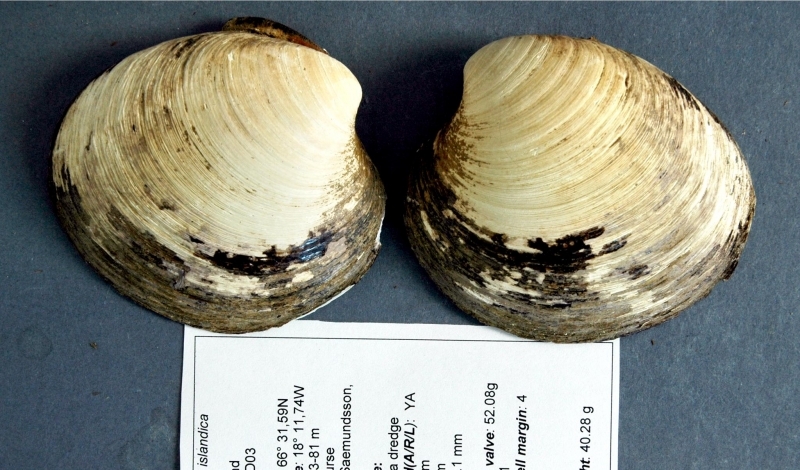 However after taking a closer look at the old mollusk using more refined methods, the researchers found that the animal is actually 100 years older than they thought. 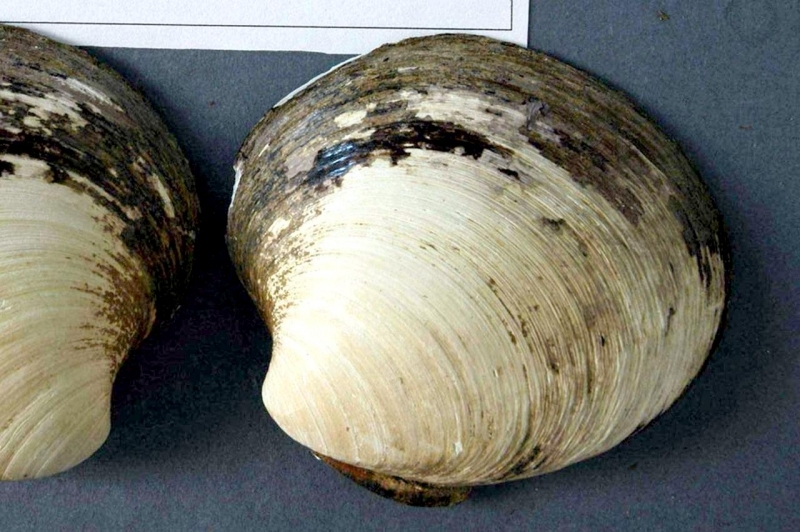 The new estimate says that the mollusk is actually 507 years old. 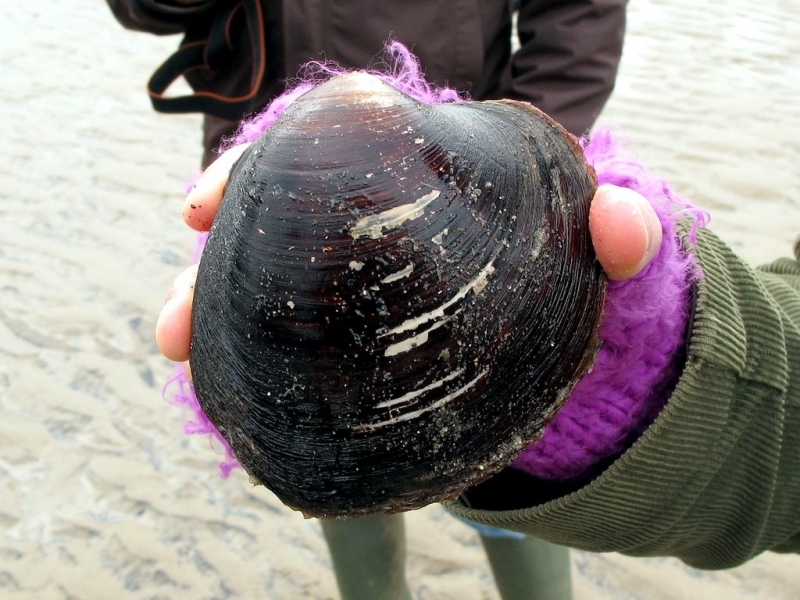 The ‘new’ age means that the Ocean Quahog was born in 1499, only a few years after Columbus visited America for the first time and more than a decade before Martin Luther’s Reformation of the Catholic Church. 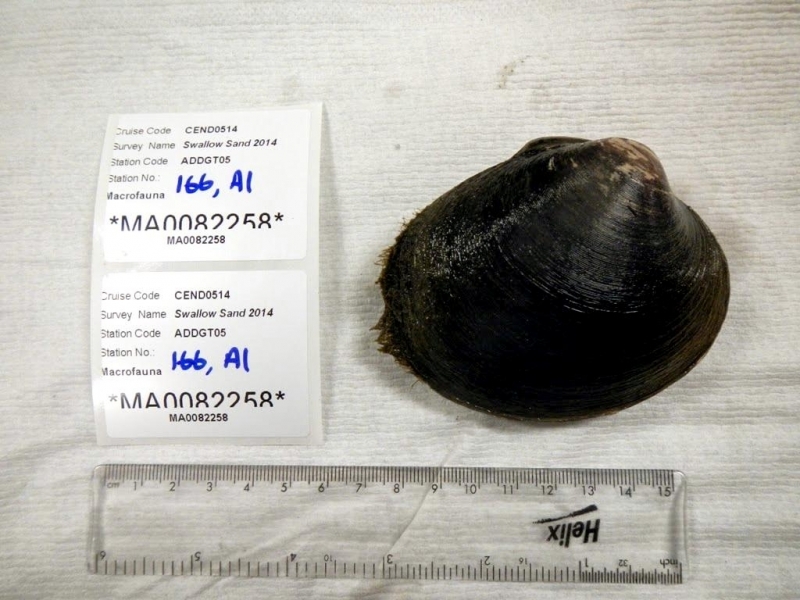 The mollusk’s 507-year-long life came to an abrupt end in 2006 when the British researchers unaware of the animal’s impressive age, froze the mollusk on-board the ship. 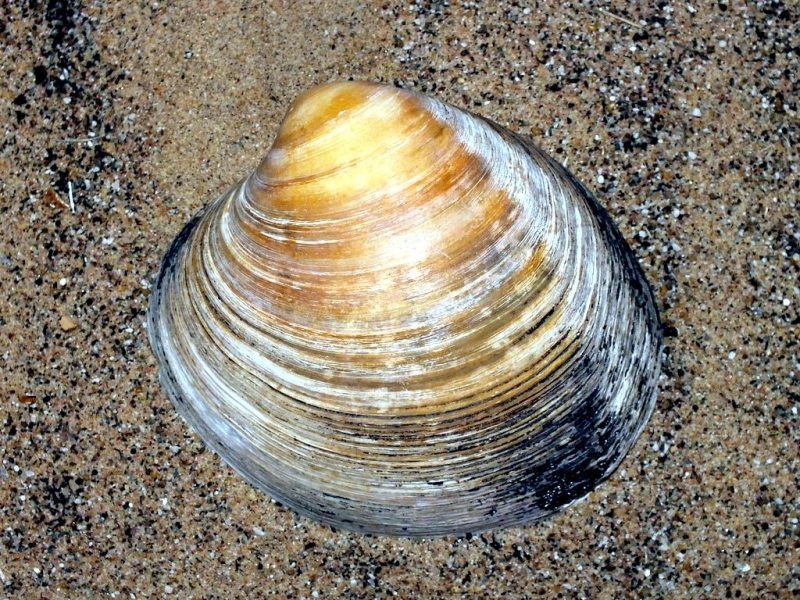 After its death, the Ocean Quahog was given the name Ming after the Chinese Ming dynasty, which was in power when the animal was born. Although Ming has turned out to be a full century older than first thought, the name is still relevant as the Ming dynasty lasted for almost 300 years (1368-1644). How can we be sure that the British researchers have determined Ming’s correct age this time around? There is a general agreement within research circles that 507 years is Ming’s correct age. 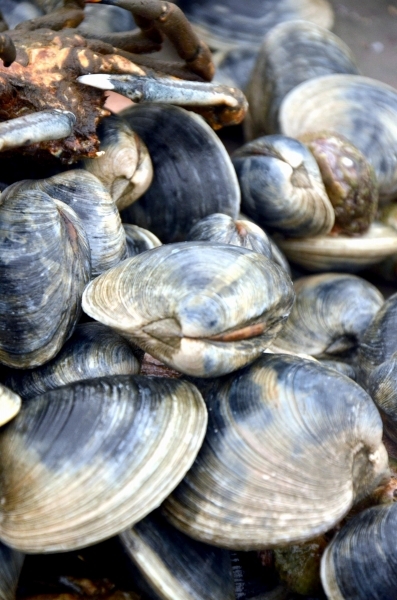 Their name “quahog” is a variation of “poquauhock” (po-qua-hock), which is what the Wampanoag Indians originally called it and is pronounce “Coe-Hog”. 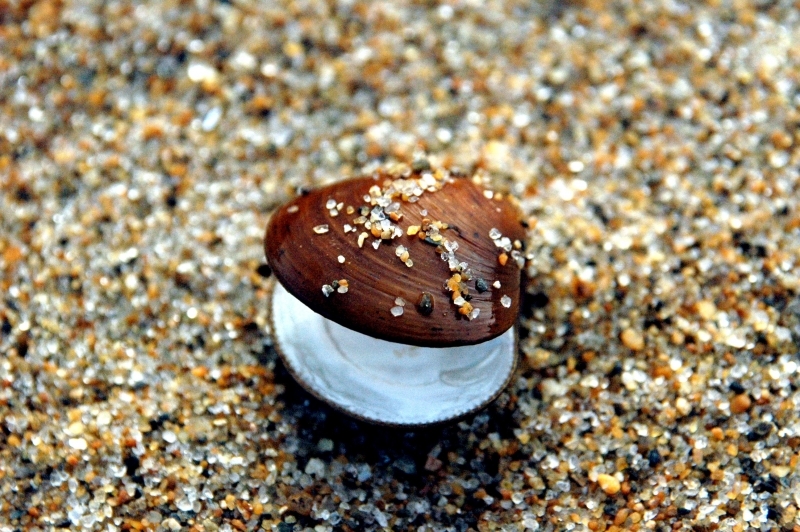 The Ocean Quahog is a typical cockle-shaped bivalve and the two halves of its hinged, rounded shell are thick, glossy & dark brown in color. It is a long-lived animal and is quite large for its kind, growing up to 13 centimeters across. 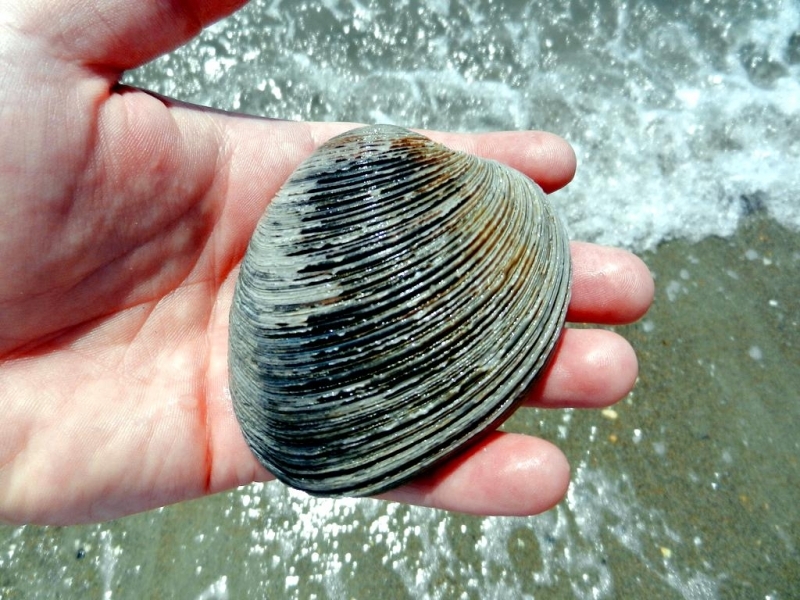 In the late 1980’s, the scientists who discovered that the age of the Ocean Quahog can be determined by counting growth rings in the shell. 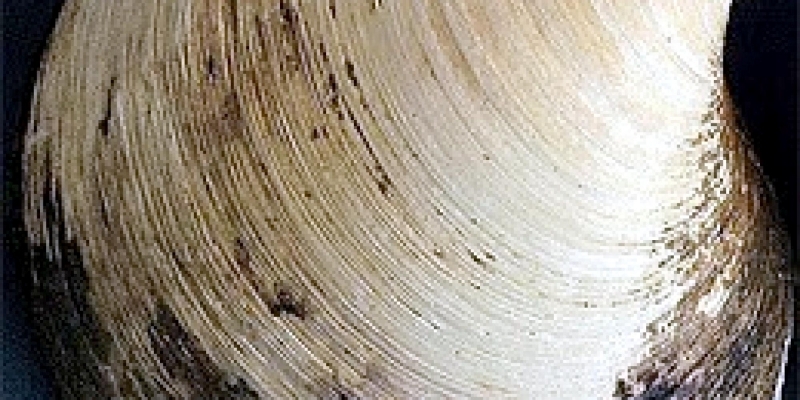 The growth rings are visible both on the outside and the outside of the shell. 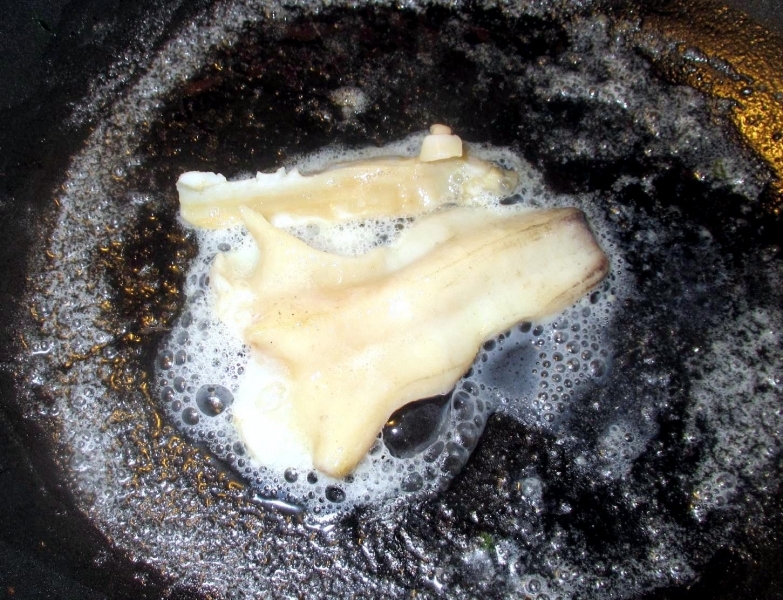 The hinge ligaments that connect the 2 shells are generally considered to be the best place for counting growth rings. 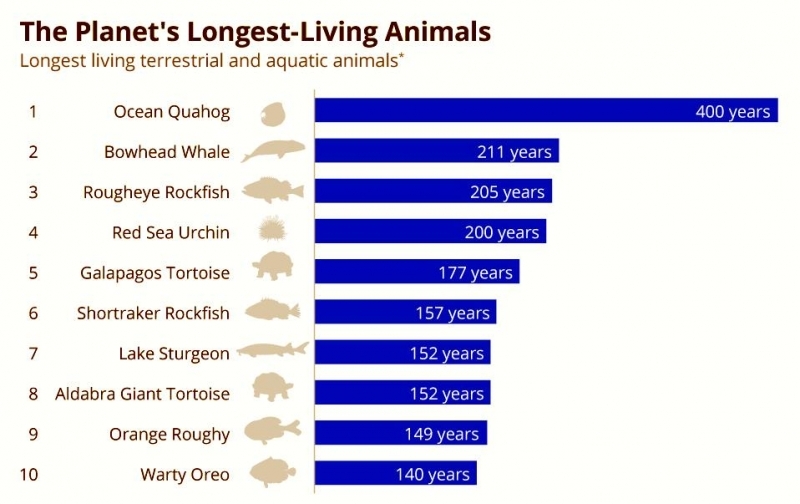 Although the latest research has established that Ocean Quahog is 100 years older than originally thought, it is still not certain that Ming is the rightful owner of the title as the world’s oldest animal. 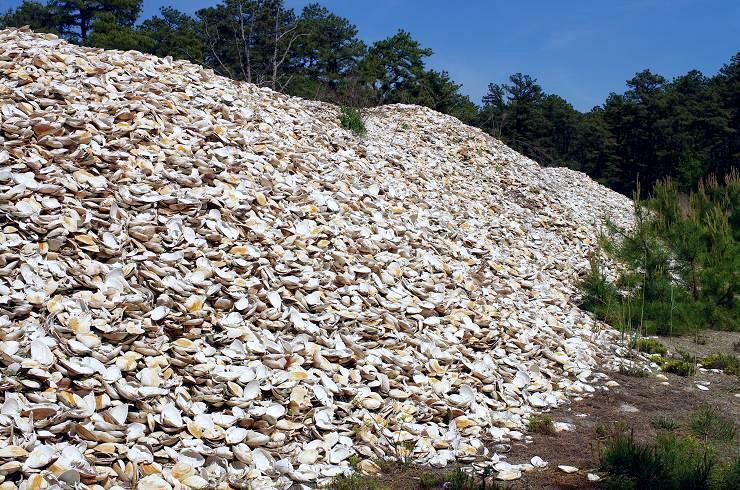 If the world of primitive organisms is to be included in the animal kingdom, then the so-called primitive metazoans, a collective term for sponge-like animals, cnidarians and worms include a species that beats Ming by thousands of years. 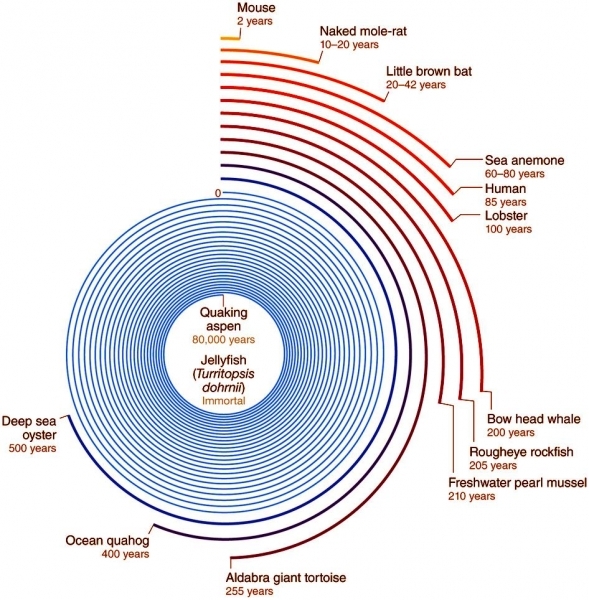 The Glass Sponge is thought to reach an age of 15,000 years and researchers even believe they have found specimens with ages of up to 23,000 years. 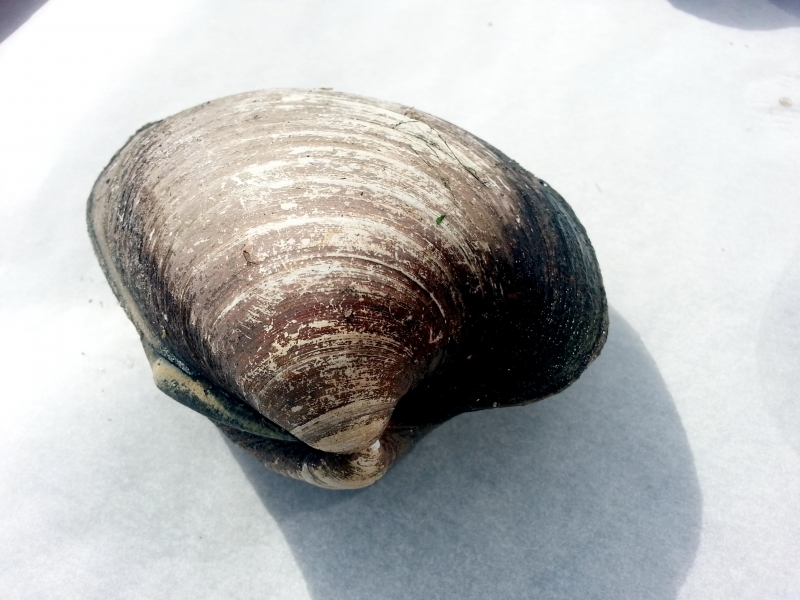 Ocean Quahogs can be found from just below the low water level to depths of about 500 meters. 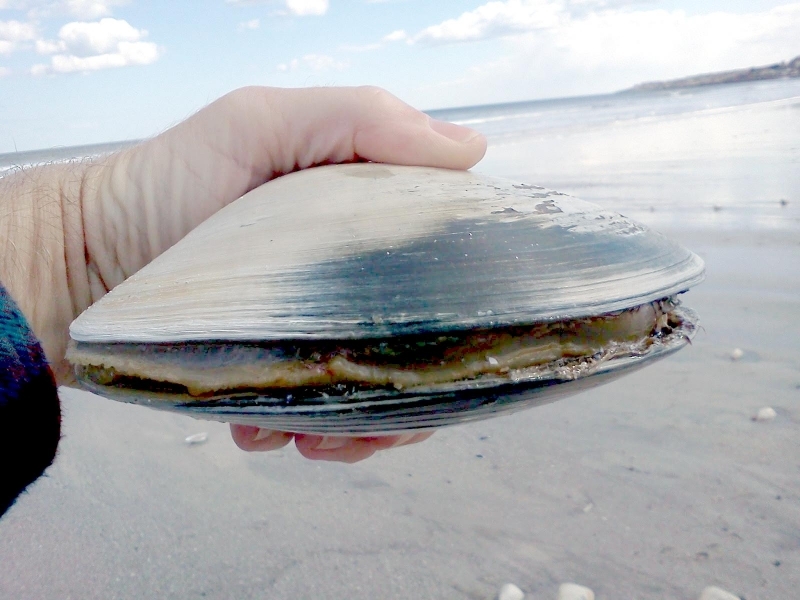 They live buried in sand & muddy sand, often with their shells entirely hidden and just a small tube extending up to the surface of the seabed. 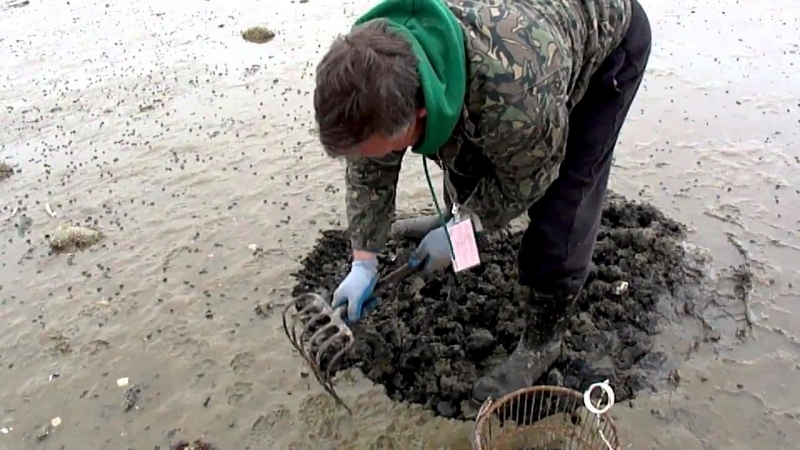 The tube is a siphon that keeps water flowing across the animal so that it can breathe, capture food & expel waste. 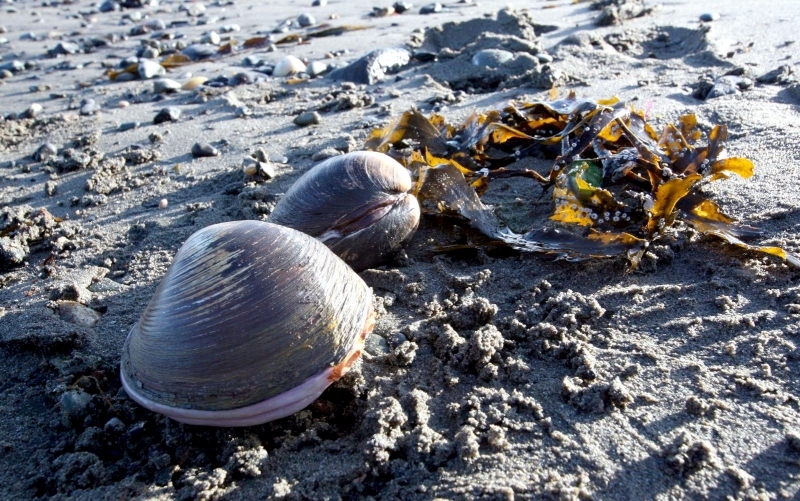 People do eat Quahogs, although this is more common in North America, Iceland and Norway. 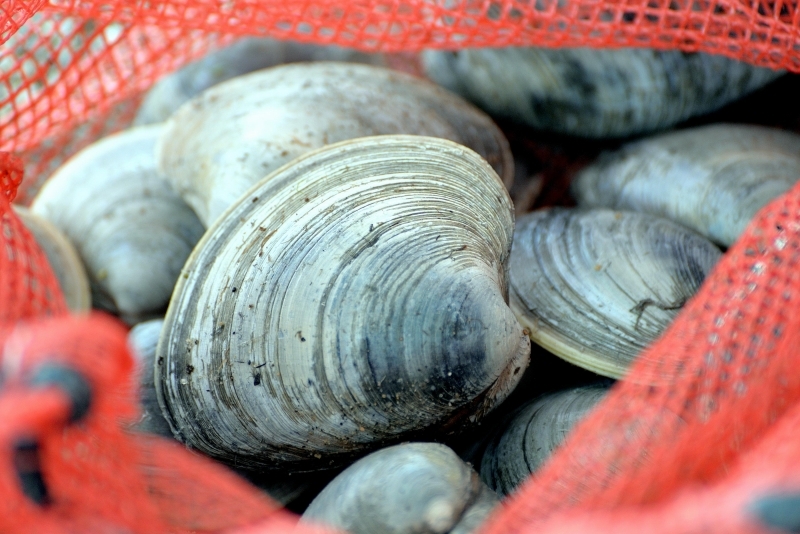 Commercial fisheries for the bivalve suddenly increased enormously in the mid-1970’s and have remained at those levels ever since. 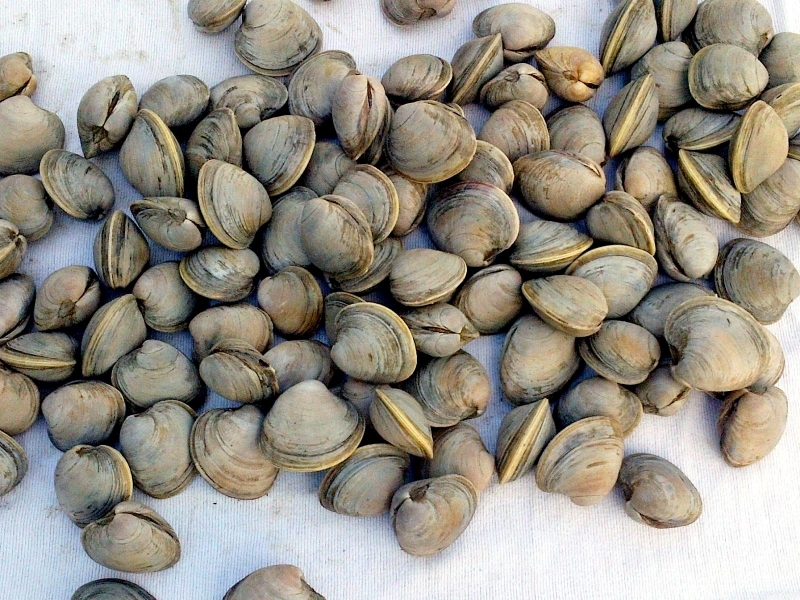 Ocean Quahogs grow very slowly and can take up to 50 years to reach market size. 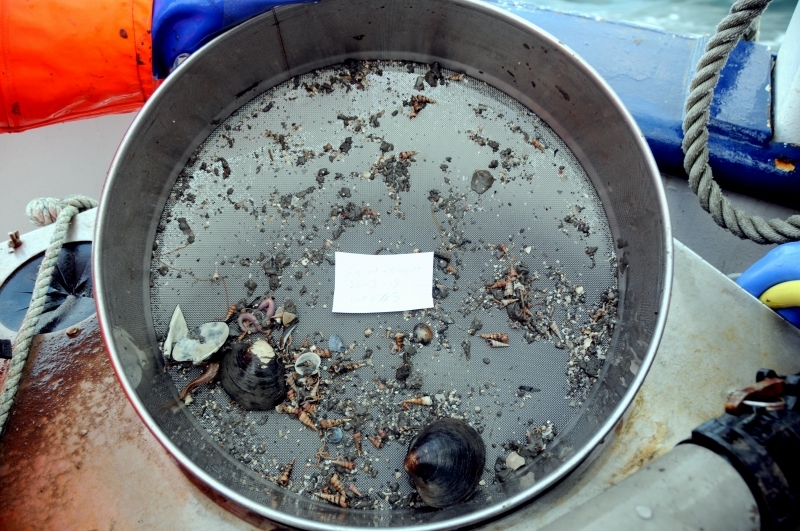 They are at particular risk from bottom fishing gear and like other slow-growing animals, once their numbers have been reduced the populations can take a long time to recover. 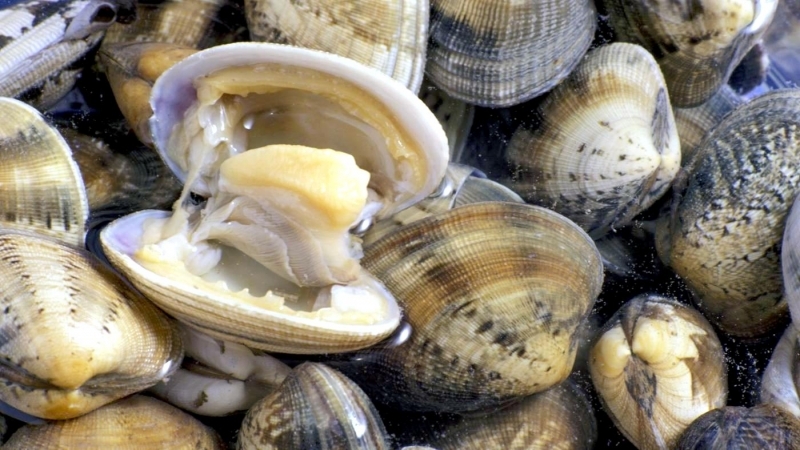 Ocean Quahogs are also an important food source for the Atlantic Cod.